Product derived from seeds of germinated grain in which developes a ferment that converts starch to maltose. 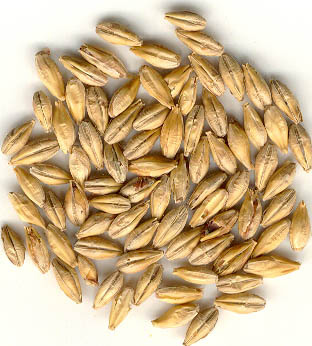 The production takes place in maltery where the kernels, or seeds, macerate in special vats absorbing water, then rest for one week in the germination rooms, sprouting the rootlets; at this point the malt passes into a drying chamber, where germination is blocked lowering the humidity from 50% to 8%; then the dry malt comes in silos where it is left waiting for being worked. The malting process is essential because its result is used in the production of alcoholic beverages such as beer and Whiskey/Whisky because the malt, and often not the corn from which it derives, can be fermented by yeast and converted into alcohol. During the germination the enzymes hydrolyze starch products into simpler sugars that can be fermented by yeast.